Life is good on the farm! 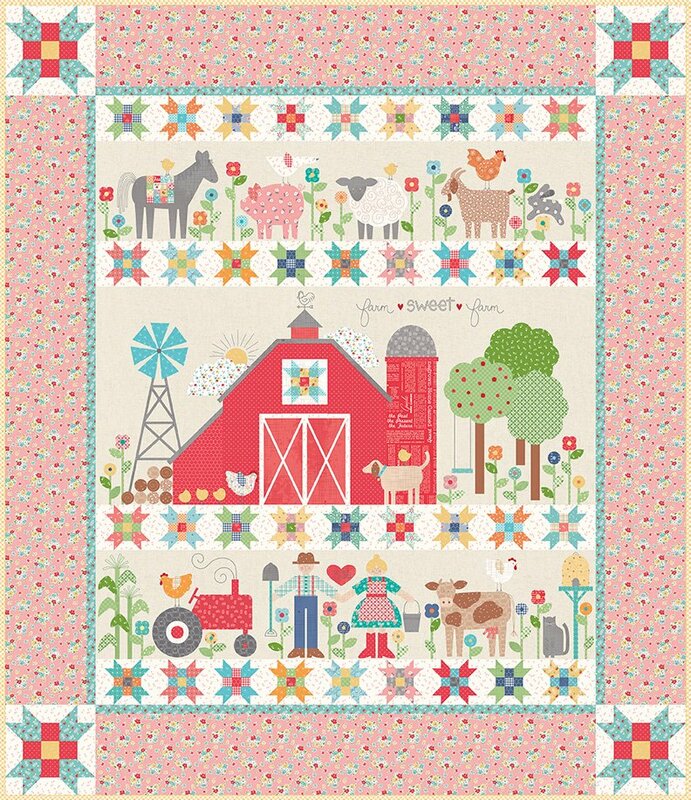 Lori Holt has done it again, this time with a big red barn, animals and more classic farm quilt fun in her signature colors & style. You are going to love making this 75 x 87 cotton applique quilt! We have all the needed supplies here at Corn Wagon so pick yours up today. Kit must be purchased separately for $229.99 and includes fabric for top & binding, templates & vintage trim. Then join us every other Monday to learn tips and tricks as we Sew Along! Visit Lori Holt's blog http://beeinmybonnetco.blogspot.com and download the complete Farm Sweet Farm Sew Along Guide. You can also follow along there on her blog as she releases more Sew Along info. It will be extremely helpful to cut out all fabric before class. Sewing Machine in good working order. Don't forget your foot pedal & power cord! Frixion Pen or other fabric making utensil. Kit purchased separately for $229.99 includes fabric for top & binding, templates & vintage trim.